Transforming a strong regional player in healthcare services into the leading national player with strong competitive advantage and long-term growth prospects. Odontoprev was founded by a young dentist, Randal Zanetti, to provide dental plans to corporations, unions, and associations in Brazil. We were introduced to Randal and made our investment through TMG Capital, our local partner for investments in Brazil. At the time of TMG / Invus investment, Randal had built Odontoprev into a leading regional provider with an accredited network of dentists and approximately 200,000 covered members. The dental benefits market was under penetrated in Brazil and offered significant growth potential — in 2000 only 3 million people were covered by dental plans out of a population of 170 million. Dental plans are economically attractive, but had a very different casualty profile compared to medical plans. Dental plan costs are highest upfront when previously untreated populations first gain coverage, but then decline, which means you lose money on new patients on day one. This unique casualty profile requires special skills and capabilities that build as you gain scale, as well as, adaquate capital to sustain losses. Leveraged proprietary IT platform, product portfolio, actuarial knowledge, business scale, and insight into the casualty profile of prospects to set a pricing model which gave Odontoprev a significant advantage in signing the most attractive new accounts. One of the key asset was backend software that allowed dentists to manage patients, patient treatments, the office, and claims more efficiently. Made strategic decision to focus on managing an accredited network of dentists by leveraging the backend software versus running a network of company-owned dental clinics. This decision allowed the company to get a broad geographic footprint of service providers quickly with minimal capital. Injected capital through our investment allowed the management to complete several acquisitions — including Unidont, Clidec, and most recently Dentalcorp. During our involvement, the company grew revenues from R$20 million to R$150 million, and now generates EBITDA margins north of 25%. In December 2006, Odontoprev completed a R$455 million IPO on the BOVESPA. TMG/Invus generated a 13X multiple of our original investment. 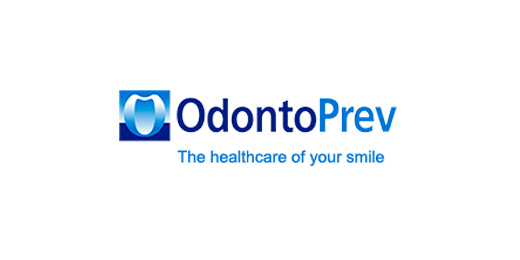 Despite the significant growth to date, given the still relatively low penetration of dental plans in Brazil relative to other markets (4% of population covered as compared to 54% coverage in the US), Odontoprev has significant growth prospects ahead and is in a privileged position to continue leading the market.